Xenical is a medication for weight loss. Xenical tablets reduce the number of calories your body absorbs from the fat you eat. 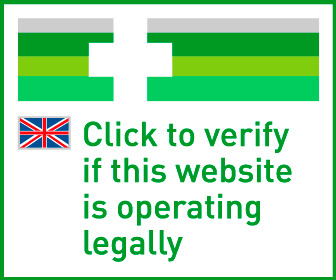 Order Xenical online from Superdrug - our service is fast and discreet. To place your order, fill in our brief medical questionnaire. One of our online doctors will review your order and approve appropriate treatment. We offer both Xenical and generic Xenical (orlistat). Generic Xenical contains the same active ingredient as Xenical but is availeble at a lower cost. Please note: This treatment is currently unavailable. Product packaging may differ from the image above. How Do I Use Xenical Tablets? Xenical is a medicine used for weight loss that comes in the form of 120mg turquoise capsules. The pills work by stopping a third of all the fat in all the food you eat from being digested. This undigested fat is then removed from the body, helping you to lose weight. Xenical is recommended to be taken alongside a low calorie diet for weight loss and in the treatment of obesity. Always follow the nutritional programme recommended to you by your doctor when using Xenical in order to see the best results. Eating or drinking more than your daily recommended calorie and alcohol intake will reduce any weight loss effect gained from taking Xenical, as with any weight loss programme. If you have not lost at least 5% of your body weight after 12 weeks of taking Xenical, you will be advised to stop the treatment. Xenical capsules should be swallowed whole with water three times a day, immediately before, during or up to one hour after your three meals of the day: breakfast, lunch and dinner. You should take Xenical alongside a well-balanced nutritional diet, with foods that contain on average 30% of the calories from fat. Eat lots of fruit and vegetables, drink plenty of water and avoid eating any high calorie or fatty foods. Xenical will only take effect when used when your body is digesting dietary fat. Therefore, if you miss a main meal or have a meal containing no fat, you will not need to take a capsule. Xenical should be taken by adults who have been prescribed it for the treatment of obesity, alongside a low-calorie diet. You should not take Xenical if you are hypersensitive (allergic) to any of its listed ingredients. Xenical is to be used to treat obesity and aid weight loss, alongside a low calorie diet, and therefore should not be used by those of a healthy weight or for any other reason unless discussed first with a prescribing doctor. Xenical is not recommended for use during pregnancy. You must not breast-feed whilst taking Xenical as there is insufficient research into whether or not it can be passed through breast milk. What Dosage Of Xenical Do I Need? Always follow the directions for dosage from your prescribing nurse, pharmacist or doctor. If you are ever unsure about how many or how often you should be taking Xenical, check with them in the first instance. The standard dosage for Xenical is one 120mg turquoise capsule, taken with each of your three main meals of the day, every day. You should take it either immediately before, during, or up to one hour after the meal. If you accidentally take more capsules than you have been prescribed, or someone accidentally takes one who has not been prescribed it, seek medical advice from your pharmacist, doctor or nearest hospital. If you forget to take your capsule at any time, and it has exceeded one hour since your last meal, then continue to take it at your next main mealtime, as usual. Do not double your dose or change your prescribed dose unless told to by your doctor. If you miss several doses, inform your doctor and follow their advice for future usage. What Are The Ingredients In Xenical? 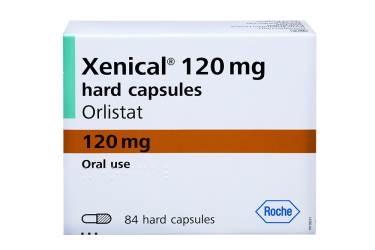 The active ingredient in Xenical is orlistat. Each capsule will contain 120mg of orlistat. Other ingredients include: sodium starch glycolate (Type A), microcrystalline cellulose (E460), sodium laurilsulfate, povidone (E1201), and talc. The capsule shell contains: indigo carmine (E132), gelatine, edible printing ink, and titanium dioxide (E171). As with any medicine, it is possible that you will experience some side effects whilst using Xenical. Most unwanted side effects will be related to your digestive system, tend to be very mild and occur mainly at the beginning of your treatment or if you eat a meal containing high levels of fat. Changes in your bowel movements, like an increase in oily or fatty stools, are mostly harmless and occur because your body is working to expel undigested fat. These symptoms should disappear if you continue your regular treatment and stick to the recommended low-calorie diet. Always tell your prescribing nurse, doctor or pharmacist immediately if you ever start to feel unwell or any your symptoms worsen as a result of using Xenical. If you ever experience any side effects that are not listed in this page, you can report them using the Yellow Card Scheme to help provide more information on the safe and proper use of this medicine: https://yellowcard.mhra.gov.uk/. Are there any safety precautions to be aware of while using it? If you are currently on any other form of medication, make sure to inform your nurse, pharmacist or doctor before taking Xenical. In general, losing weight can mean you will have to adjust the dosage of your other medications. Anticonvulsivant treatment for epilepsy (orlistat may decrease the absorption of antiepileptic drugs, leading to an increase in convulsions - contact your doctor if you think that the severity and/or frequency of your convulsions have changed whilst taking Xenical). Xenical is not recommended for use by people who are also taking the anti-diabetic drug acarbose, used to treat diabetes mellitus (Type 2). Xenical will also reduce the absorption of some important fat-soluble nutrients like beta-carotene and vitamin E. Talk to your doctor for advice about having a well-balanced nutritional diet whilst taking Xenical, and take multivitamin supplements if advised. If you suffer from chronic kidney disease, orlistat can be associated with renal stones. Talk to your doctor before taking Xenical if you suffer from kidney problems. There is no known effect on a user’s ability to drive or operate heavy machinery whilst on Xenical. If you are sexually active and experience severe diarrhoea whilst using Xenical, it is recommended that you use condoms as an additional precaution to prevent the possible failure of oral contraceptives.